Romford RM Tree Surgery & Gardeners | Quality Property Care Ltd. The expertise we’ve acquired enables us to properly help you, to get an expert gardeners in Romford RM, call 020 3746 4287 and reserve our services today. Each month we have exclusive offers on gardening prices, be sure to check back with us often to have your next fantastic gardening deal. Quality Property Care Ltd.expert gardening company in Romford RM has been in the home maintenance industry for 10 years. We always point out that our achievements are due to the big determination we`ve got to boost our services and to keep all clients happy and satisfied. At this time, our expert garden maintenance services have been used by more than 14 000 happy clients. This would mean thousands of lawns maintained in a pristine condition. We do offer lawn care & mowing - reseeding, patches, fertilizing, watering edging, and also exclusive fall months & springtime lawn care like lawn repair, lawn aeration, lawn feeding and also lawn scarification. Quality Property Care Ltd.has been offering professional garden design and servicing service to the personal and commercial residents of Romford RM for over 10 years. The supervisors of our garden services company have invested a lot of time, hard work and assets in finding, vetting and teaching its professional gardeners in Romford RM. In addition, only the latest gardening equipment and methods are used for all the gardening services offered. The gardeners often arrive in groups of two and are completely equipped to begin immediately. From the very first visit, they will talk about the options and the services that need to be delivered, but just after the customer approves of the deal will they start doing the job. Get a neat and fresh garden taken care of by gifted gardeners in Romford RM today! Do what you have to do for your garden and get it back well preserved and as it is a picture of your favourite outdoor design journal. 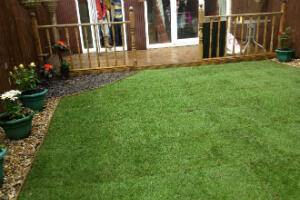 Contact us on 020 3746 4287 and request pro gardening services in Romford RM right now!